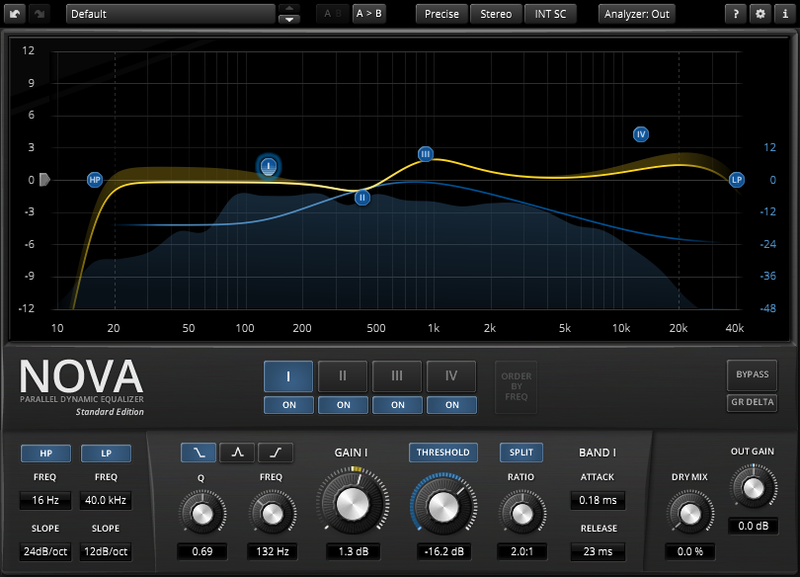 The TDR Nova is another great free plugin from Tokyo Dawn Records. 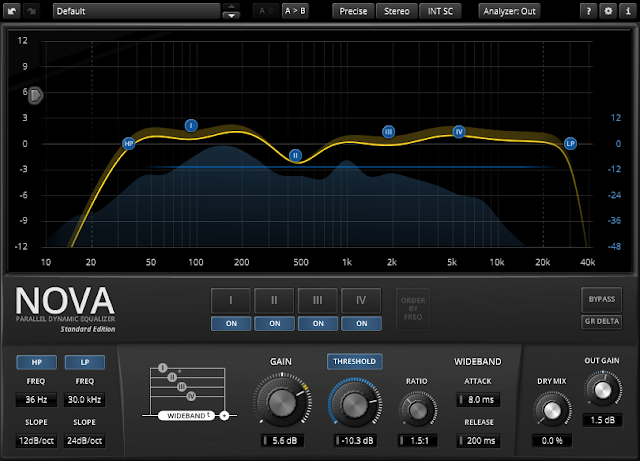 It is a multi-band dynamic equalizer that can be used as a de-esser; on drums, guitars, vocals etc. or even on the master buss to enhance your mix (Warning! you can easily destroy your mix if you're not careful). It is a more enhanced version of the Nova-67P. You can view a comparison of both plugins on vladgsound's blog. Make sure to check out the "Sticky" mode (Press Alt/Option then Threshold on the selected band to activate it). The selected band will no longer be affected by the plugin's wideband compression.